R75 A DAY FOR A GO! BUYING a new car isn’t scary if you budget properly. 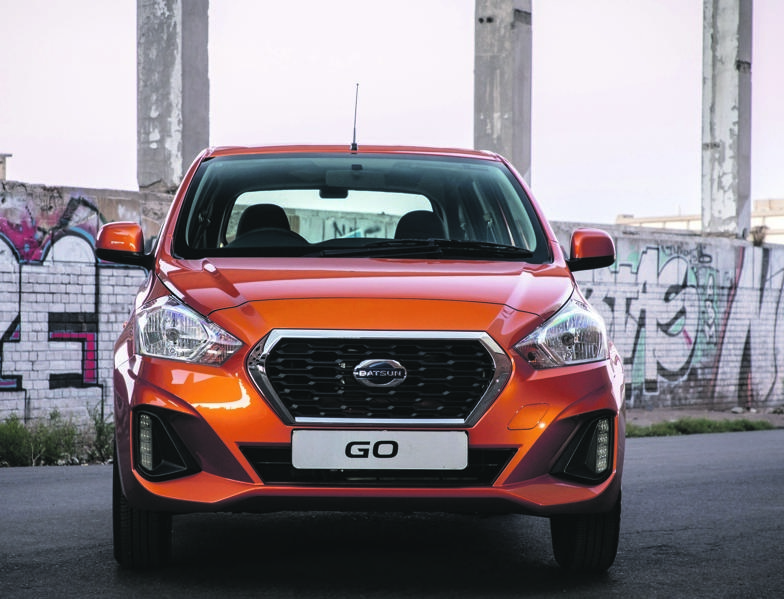 If you add up all the money you spend on public transport daily, Datsun claims that may cover the costs of a brand new Go for as little as R75 a day – excluding running costs such as petrol. Datsun launched the upgraded Go late last year. The mid-range version costs R144 500. This means that over six years, after paying no deposit, the Go loan and interest would be paid off with R75 a day. Can you find R75 a day? Start looking at your daily and weekly spending habits. Where can you cut back a little of your spending? Preparing lunches at home is a great way to save money instead of buying fast food at work. And when was the last time you looked over your subscription services and cleared out the ones you are not using anymore? Commuting back and forth to work each day on public transport or private taxies can easily exceed R75, especially if you live far from the office. People only travel this way because owning a car seems unattainable. The Go also comes with a surprising number of safety features for a budget car including ABS, driver and passenger airbags, and retractable seat belts. The Go and Go+ also comes with a standard three-year/100 000km warranty and an optional service plan. Buyers receive one-year insurance cover with the purchase of a Go or Go+. You will need to pay for insurance after the first year.